In Family History in Photographs, we discussed how to gather family history through the photographs in the home of family members. In this series on records found at home, we will remind you of resources that you may already have that provide evidence of birth, marriage, or death of an ancestor. Records that document birth, marriage, and death, are called vital records. If your ancestor lived in an area during the time when births, marriages, and deaths were recorded, chances are you may discover an original copy of this official record among his or her personal papers or the personal papers of a close relative. Vital records give the names of other family members and other important details about the life of the individual whose record it is. Parents: Daniel and Sylvia Patterson – Search for census records and more vital records. Cemetery: Oak Grove Cemetery – See if other family members are buried in the same place. Funeral Director: Joe Nunnelee – Find access to the burial record for John, and look for other family members who he also serviced. 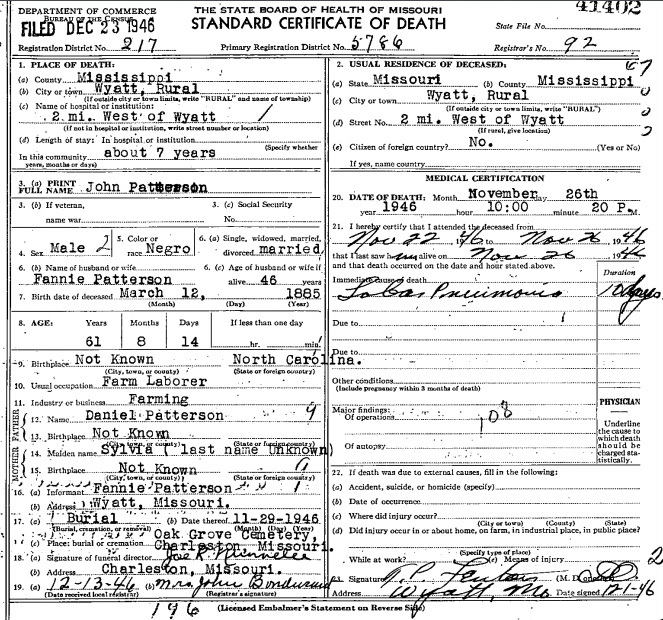 Death Certificate of John Patterson, 26 Nov 1946. Missouri Death Certificates 1910-1965, Missouri Digital Heritage. You should search your own personal archive, and ask close relatives if they have vital records for an ancestor. This can save you time and money. Many times family members have copies of these records in their possession. Death certificates are especially common because they are used to prove to an employer that time off from work is needed to attend an ancestor’s funeral. When you discover any of the items above, be sensitive to people mentioned who are still living. Keep their information private. Make a digital copy of the record, and save it in a safe place. It is a good idea to create a digital folder for your ancestor and add the personal documents that you find for easy access. Register for a free account on Box or DropBox. Take a close look at each item, and extract the evidence you find that helps you prove birth, marriage, or death. After researching to confirm new information, the information that you learn about your loved one can be added to that person’s individual record on a family tree or using family history software. For good example of what a record at home can help you learn, see this funeral program for Willie Neloms. 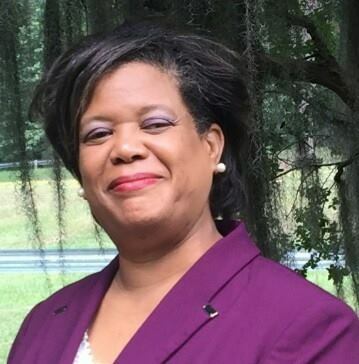 The information that can be added from the funeral program of Willie Neloms includes his birth, parents, schooling, military service, wife and family, career, and community involvement. Records at home like this funeral program can help you get a greater understanding about your ancestor’s life. Get with your extended family. Encourage each person to search records at home from the list above. Don’t forget to check the attic! Gather to discuss your findings. Extract new information, and use other records to test your findings. Record what you learn, and come back to the Facebook post for this article to tell us what you discovered. We are looking to hear from you!